When I was young my mum had hung a mirror beside a window. A pair of House Sparrow used to come daily to inquire the obscurity of that mirror by pecking it, sometimes furiously, and at times lazily. It was a strange object to them that they could play with, without getting bored. And, it was not just the mirror that intrigued them so much, there was a treat to allure them too. 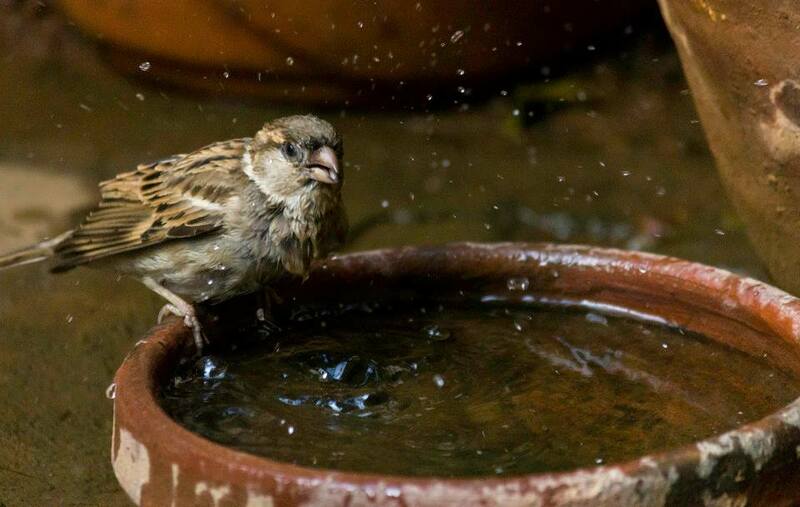 We had come to love those birds so dearly that we used to sprinkle rice grains around the window sill every day. 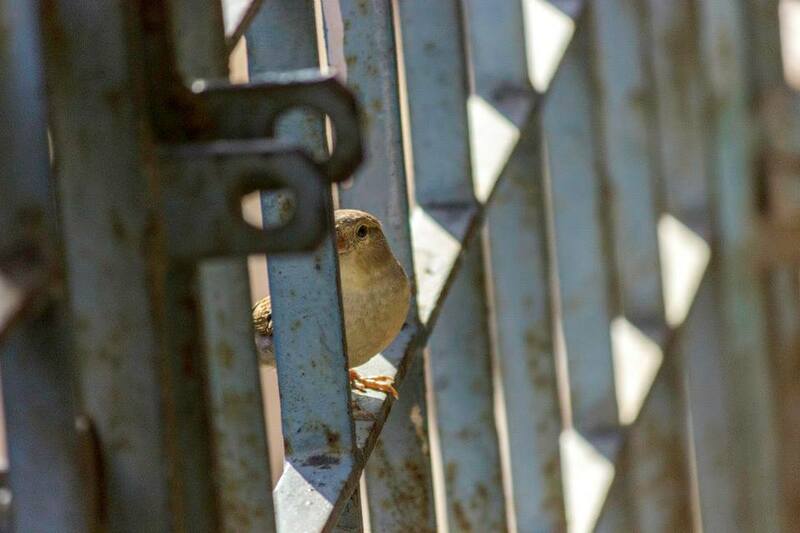 They used to come every morning, and if windows were latched they demanded us to open it by pecking it as if knocking a door to be opened with familiar authority, a thing we do so often when we return home. After some time, I don’t remember after how long, when a violent storm hit our hometown, that mirror fell and cracked. The birds still came often to pay us a visit, playing around ceiling fan or just flying around the room chirping in and out till evening (freaking my eldest sister with their sudden entrance and departure, much to our amusement) as if trying to tell us that they loved to be around us regardless of that worthless mirror. Their memories are still fresh in my mind. Whenever I close my eyes to recall those birds I feel warm and love flowing through me. They remind me of home, of comfort. 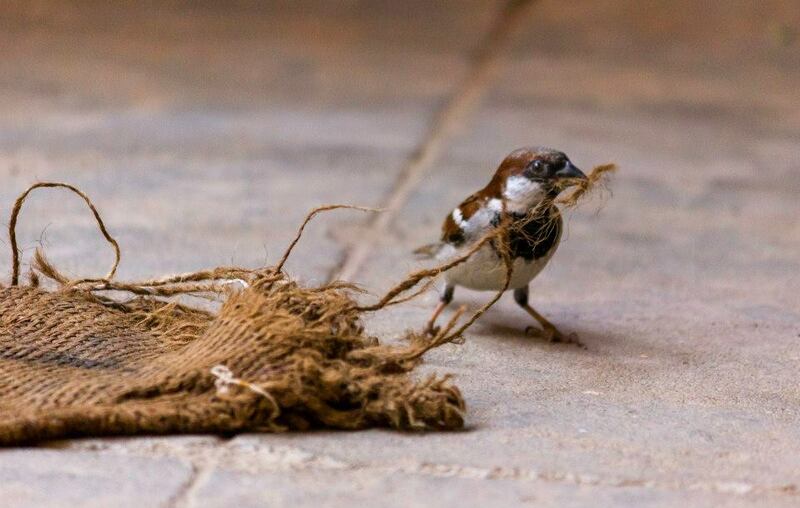 If you find a house echoing with chirps of House Sparrows and find their nest in one of its nooks or crannies, that place can suitably be called a home filled with love, warmth, comfort, peace and security because even after being not-so-afraid of humans sparrows do not trust us easily enough to build nest in our house. They are gregarious birds alright and a family of house sparrows can create a great commotion to your great annoyance, but you will bear with them and love them all the same; because they also know how to be mellow and sweet and simply keep you company when you want silence and peace. But, they can’t help tweeting or chirruping once or twice because it is as if they can’t refrain from asking you of your well-being. Once you are aware of their presence around you, whether it’s a nest in one of the mango trees near your veranda or their nestling twittering on top of one of your cupboards, you start getting amused with their activities. Soon your curiosity gets better of you, and you try to know more about them; you try to befriend them by littering broken rice or chapatti crumbs to attract them and see them peck ‘n play that you can easily watch for hours and hours. 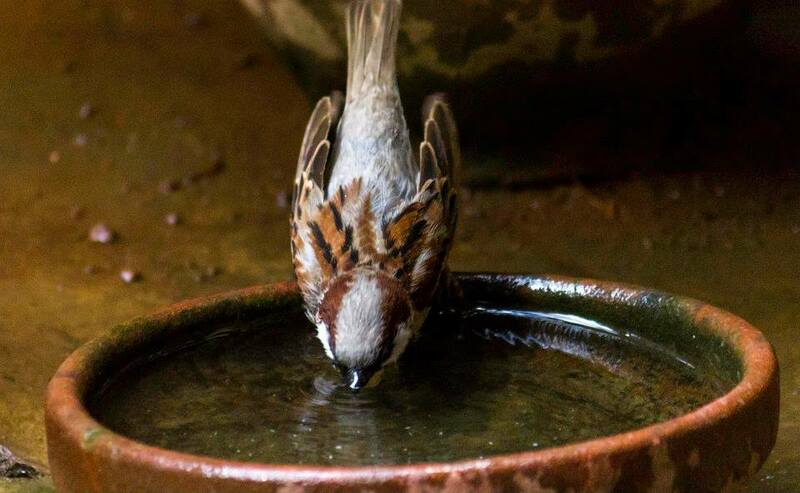 Personally, as I have spent so much of free, lousy childhood time watching these birds, I have come to believe that House Sparrows are healer. They pass on their vibrant, warm energy to you with their mere presence that can heal your heart of unknown ailments. All you have got to do is to realise their presence and that is all it takes to be loved, to be filled with warmth and to be healed. It was my father who bought a birdhouse from the NFS Exhibition Stall at the InOrbit Mall in Mumbai and we fixed it the very next day outside my bedroom window on the seventh floor. To my surprise it hardly took a few hours for the sparrows to come checking out a brand new accommodation in a space starved city like Mumbai. 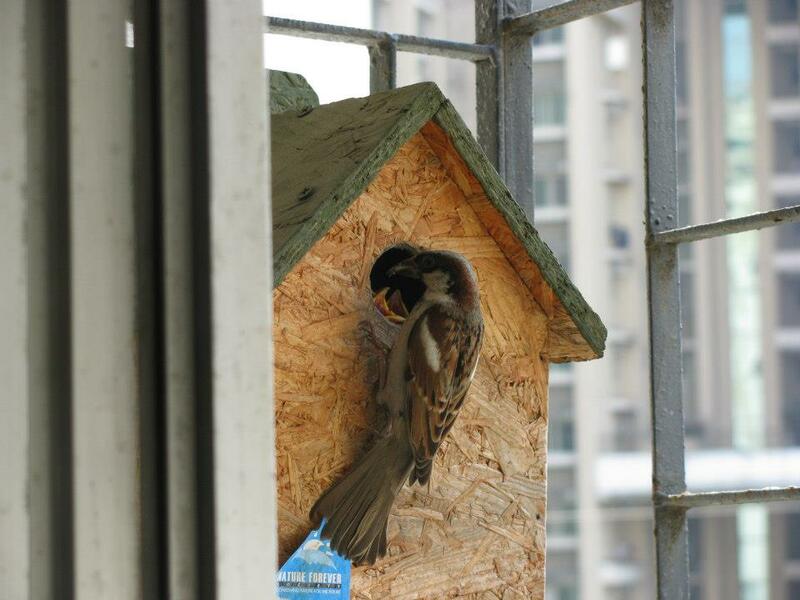 It just goes to show that it is not only humans, but even birds need a roof over their heads in this city. We were glad that our new ‘investment’ gave shelter to sparrow couples helping them in raising their little ones in a safe environment. It was around the same time that we were expecting a baby and my husband and I would often watch how relentlessly the sparrow parents worked hard to first set up their new home and make it as comfortable as possible before their young ones arrived – just like any ‘human’ parent would want for their newborn. 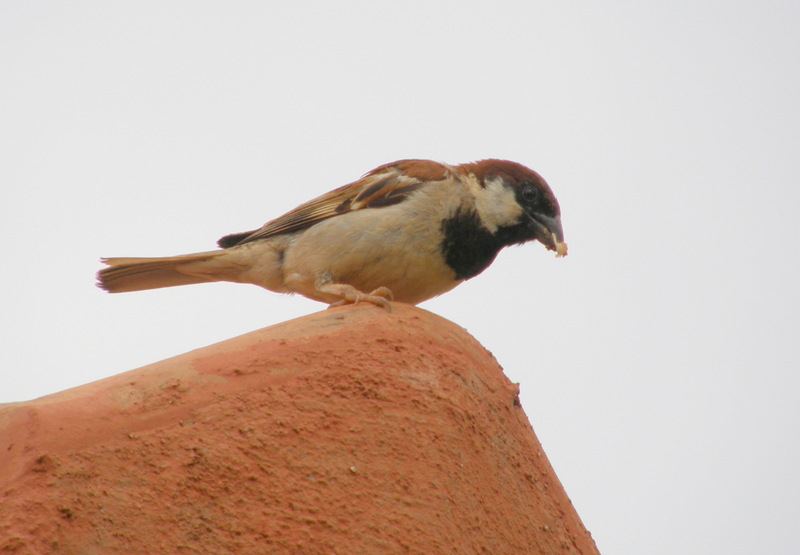 We were humbled, one worm at a time the parent sparrows took turns to feed their hungry babies. These parent sparrows made stories of ‘sleepless nights and nappy changing’ feel so petty and small to would be parents like us. It didn’t matter to the sparrows whether they had a boy or a girl as they gave equal attention to both. 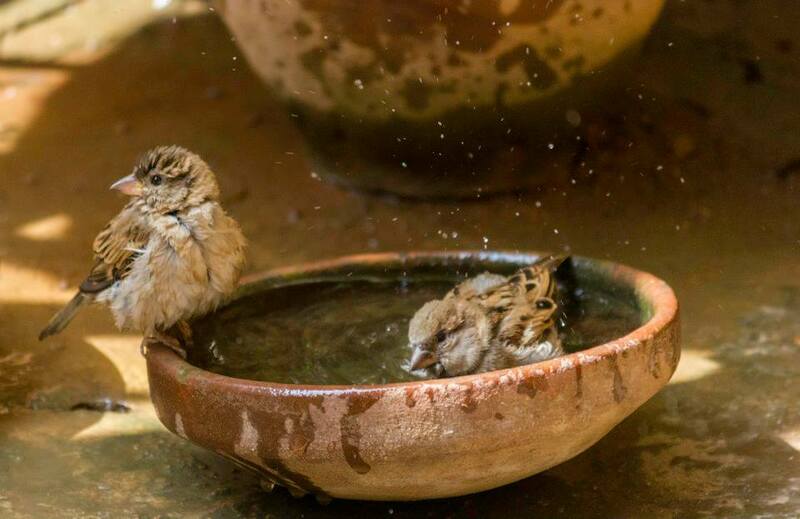 As parents they were a perfect team working unanimously towards raising their children into fine young sparrows. The parents never cribbed or complained, took turns in feeding their children and protected their little ones against crows, pigeons and common mynahs who tried to bully them. It just goes to show that no matter how big or small you are, being a parent makes you so brave and strong that you can take on any challenges in life to protect your family. 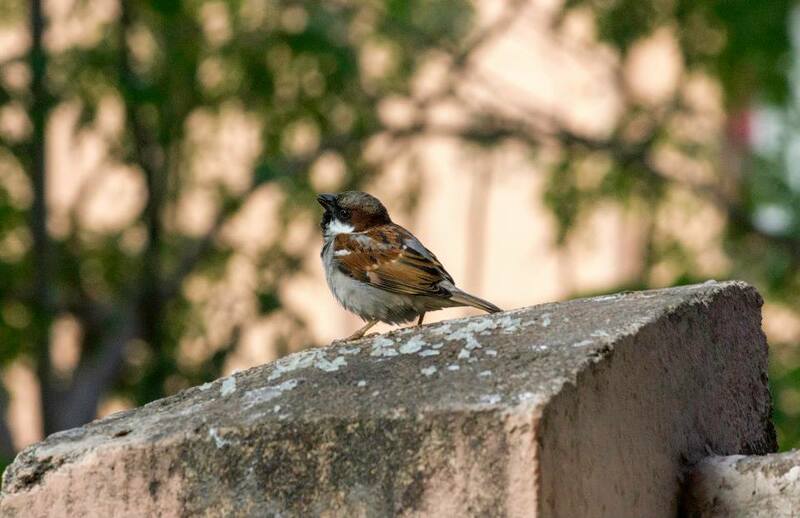 Finally when our little one arrived and we brought her home, we ‘introduced’ our newborn to the sparrow parents. We brought her to my windowsill while the couple sat perched watching the baby with great intent as if blessing our little one that she too grows up to be a fine offspring. The images are a copyright of the author.